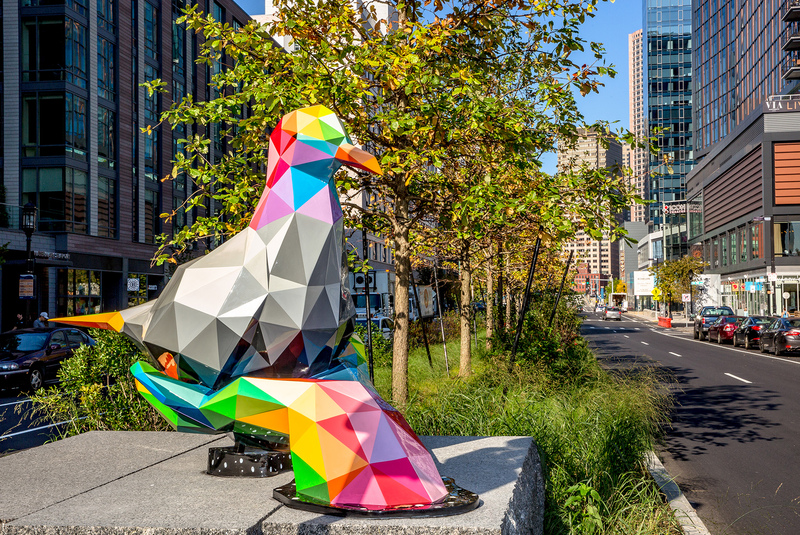 A human hand holding a dove represents the natural balance of our shared existence in Okuda’s Air, Sea and Land. Okuda imagines a world where humans and animals thrive in a diverse ecosystem that is separate, yet harmonious. As mankind continues to develop the natural world, we are reminded to embrace each other’s characteristics to keep the universe’s natural order.